The Pink Jukebox is a Ballroom and Latin dance club for members of the LGBT community and their friends. The Pink Jukebox takes place on the second and fourth Sunday of each month at the Bishopsgate Institute, located at 230 Bishopsgate, London EC2M 4QH. 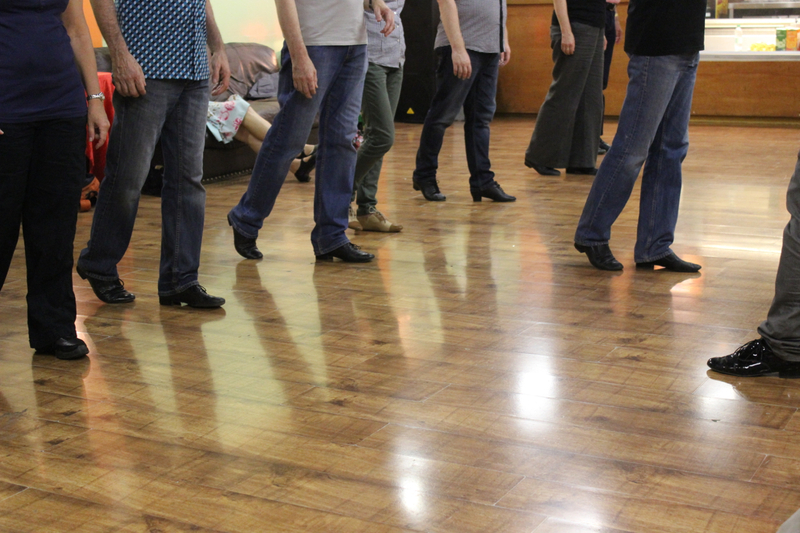 Classes (advanced, intermediate and then beginner) take place from 2:00 p.m. until 4:30 p.m., followed by social dancing until 7:00 p.m. Dancers of all levels, including absolute beginners, are welcome to participate. Pink Jukebox will next take place on Sunday the 14th of April at the Bishopsgate Institute. Every February, The Pink Jukebox presents the Pink Jukebox Trophy at the Rivoli Ballroom. The 2019 Pink Jukebox Trophy took place on 16 February 2019. The results from the 2019 Pink Jukebox Trophy are available here. The results from the classification rounds can be found by clicking the appropriate link: Men's Latin | Women's Ballroom | Women's Latin | Men's Ballroom. Pink Jukebox costs £10 for members and £12 for non-members. Membership costs £10 for one year.